I know a lot of people have migrated away from using RSS feeds to keep up with their favorite sites, but for me using services like Twitter to follow news on hundreds of my favorite sites just doesn’t seem efficient. 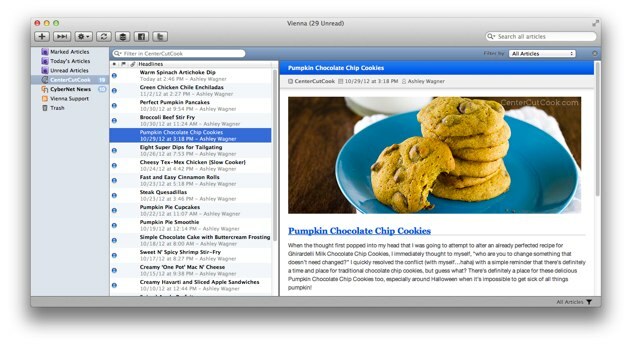 If you’re in the same boat as me and are a Mac user there is a free app called Vienna that you might like. 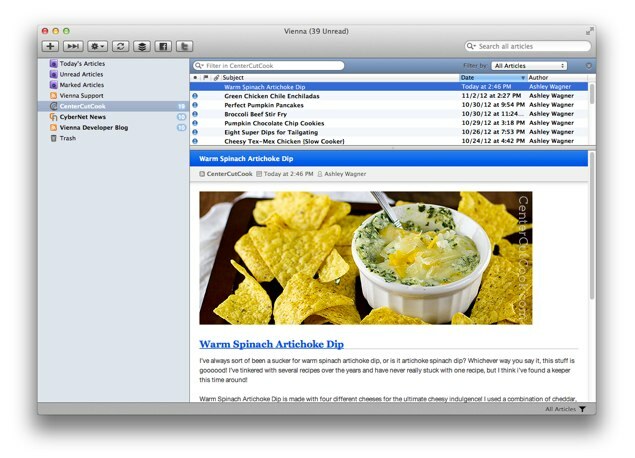 Vienna is an RSS feed reader that is like a lot of the others you’ve probably used, except that this one is free. You can use it with or without a Google Reader account, but I recommend taking advantage of that feature so that you can always pick up where you left off on nearly any Internet-connected machine. There is also a third layout that is more like the “river of news” that some of you might be familiar with. It’s essentially one long flowing page that has all of the articles fully expanded. I find that kind of view to be more useful on image-centric sites. Aside from that Vienna has a lot of the other stuff that you’d want from a RSS reader, such as article sharing and various styles/themes for the article viewer. Check it out if it since it’s free.